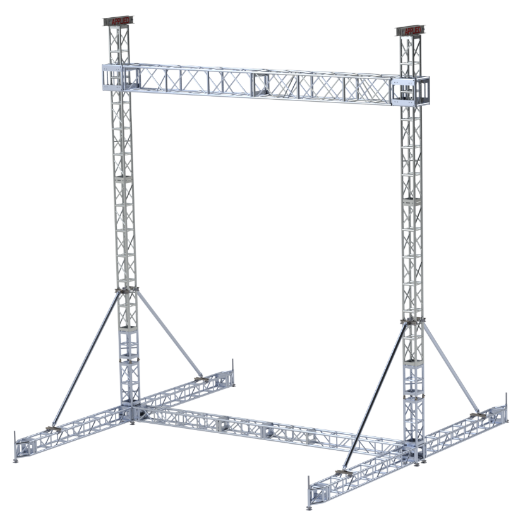 Applied video support ranges from a goal post system with hand winches, up to a goal post system designed around our LA16-35 towers with a chain motor package. 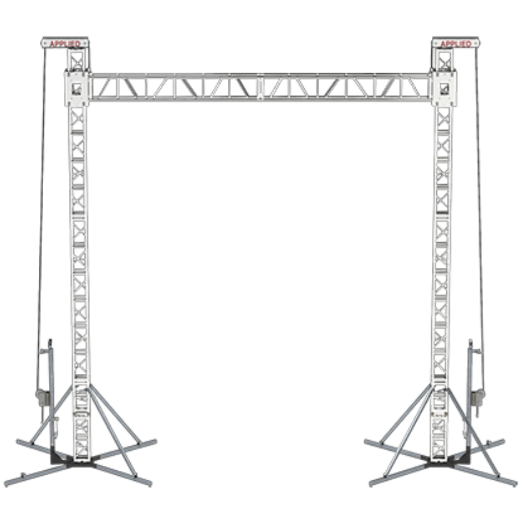 No matter what type and how much video gear you need to fly for your production or live event, you will find the correct goal post system from Applied. 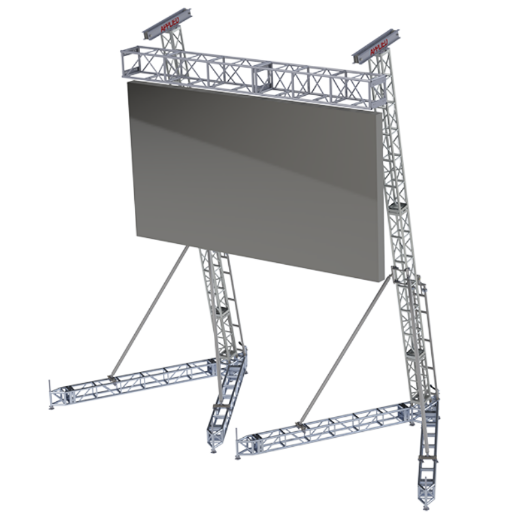 Goal Post Systems are built based on your LED or video wall size, weight and location. These systems can be outfitted with either hand winches or electric chain motors. The Applied Goal Post Systems can be used indoors or outdoors, if using outdoors guy wires are required. Use ballast per engineering data, ballasts are not provided. 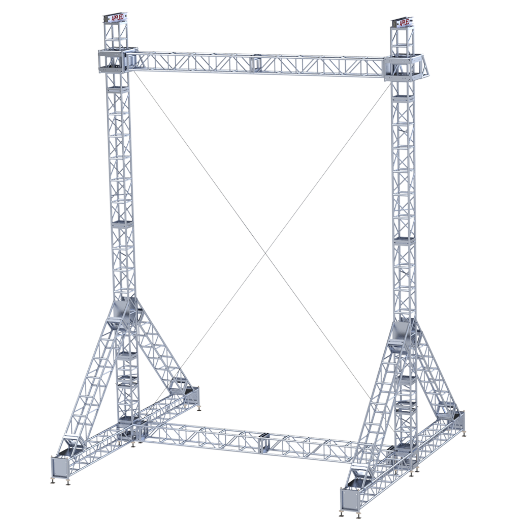 Give us a call and we will work with you to put together the correct goal post system for your video flying needs.